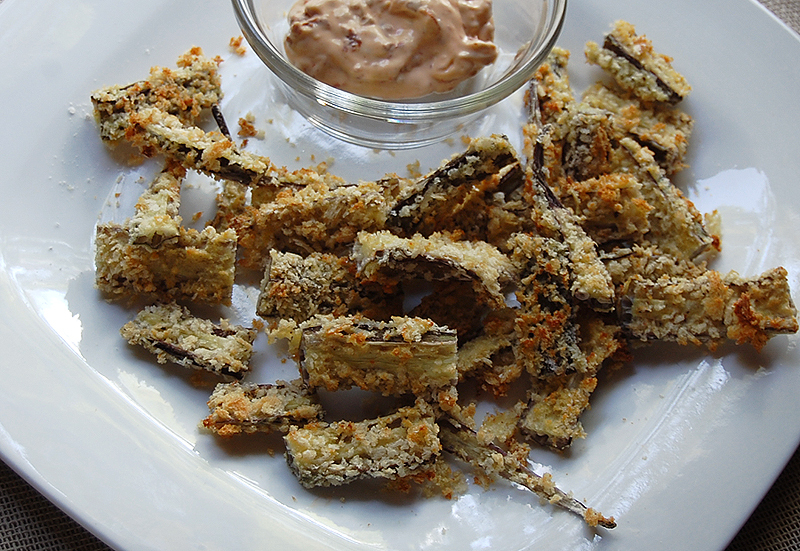 For me cactus (nopales) is a lot like okra, slightly gooey. 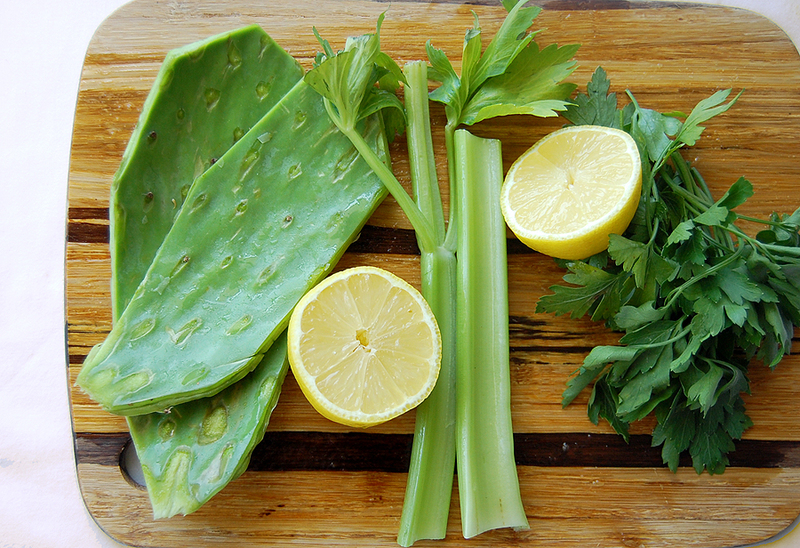 Cactus has a very mild flavor and is also incredibly good for you since it is high in fiber, antioxidants and carotenoids. 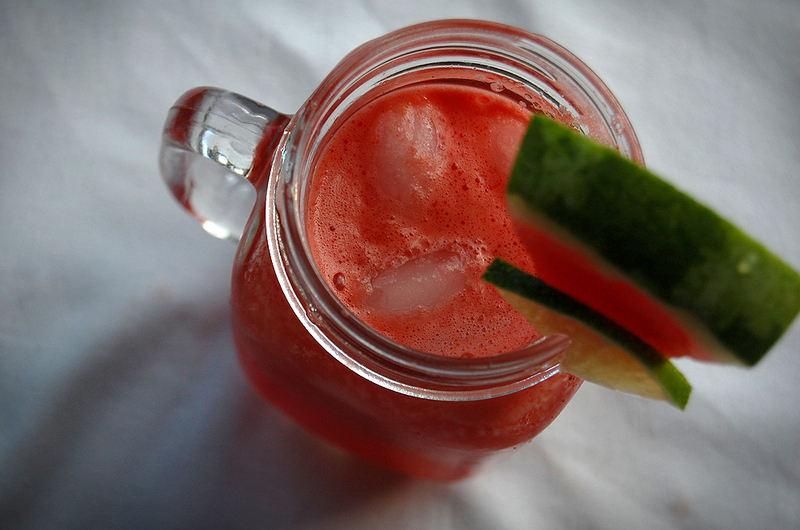 Some preliminary evidence shows that prickly pear cactus can decrease blood sugar levels in people with type 2 diabetes. 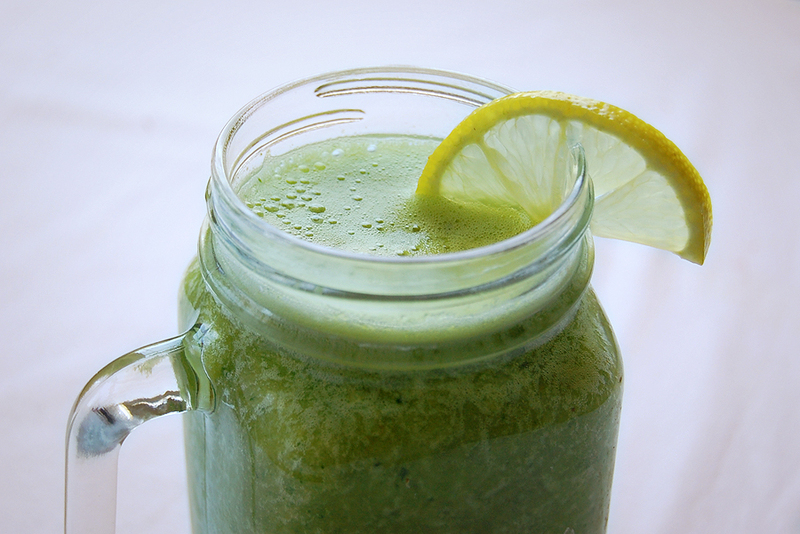 While thinking about a way of eating more cactus I remembered this smoothie recipe that was indeed this first ever “green smoothie” I ever tried. It was a recipe that my grandma got from a newspaper and it was in her kitchen that I gave it a try with a skeptical face. And it was then when I noticed if you eat raw cactus is not only not gooey but it also has a milder fresher taste that I prefer. I do find parsley to be a strong flavor on this smoothie so if you don’t like your greens as much as I do you could substitute for something less strong in flavor like spinach. Either way I do find it quite delicious and refreshing. 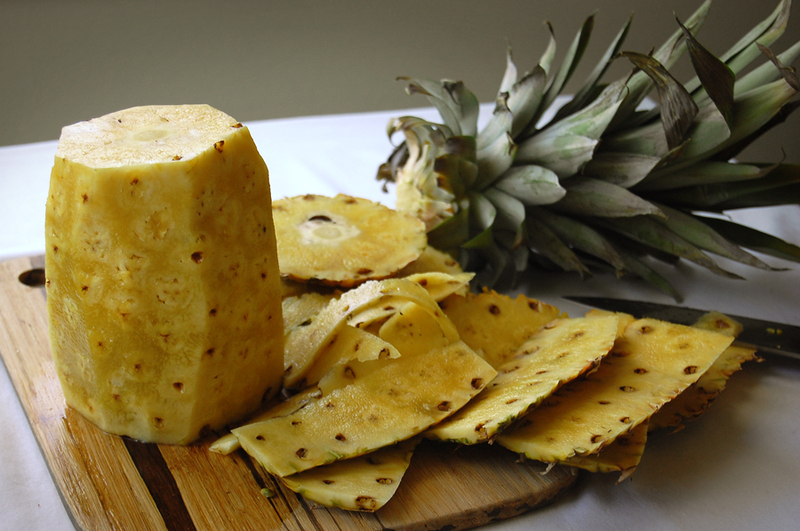 *Make sure your pineapple is ripe and sweet. I moved to North Carolina about a month ago. One of the first things I noticed was how much more expensive the produce is in here. Cilantro for example is 3 times the price than what it was in Texas, 3 times! Oh and let’s just not talk about avocados. When I buy one I feel like I’m buying caviar. However one of the great things about the area is the incredible amount of farmers and farmer stands there is all around. So on one of my last visits to a near by farmer stand I got red okra, why? well because it looked pretty. I got it at a neat farm called the farmer’s daughter that has some very interesting stuff. 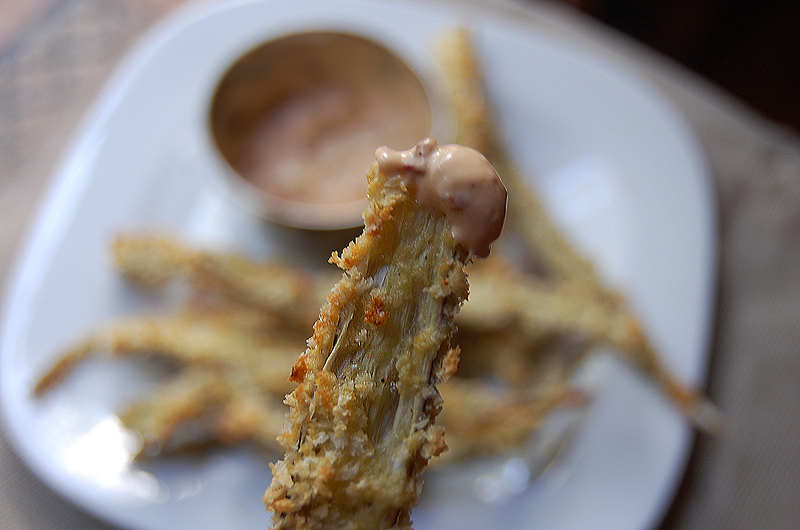 So after a few searches around the internet I found a recipe for oven fried okra fries and I decided to make some chipotle mayo because well everything tastes better with chipotle mayo. The “fries” part of it I guess came from the shape, however this is where I learned that there is a reason behind cutting fried okra into little rounds. It wasn’t that big of a deal but if you keep reading you will see what I’m talking about. First cut the okra in half and add salt and pepper, let it sit for a few minutes so the salt makes the water come out of the vegetable which makes the flour stick to it easier. Meanwhile add flour, pepper, garlic powder and seasoning to a plastic bag. Once your notice the okra has some water on the surface where you added salt and pepper is ready to go into the bag, shake it and cover completely with the flour mixture. 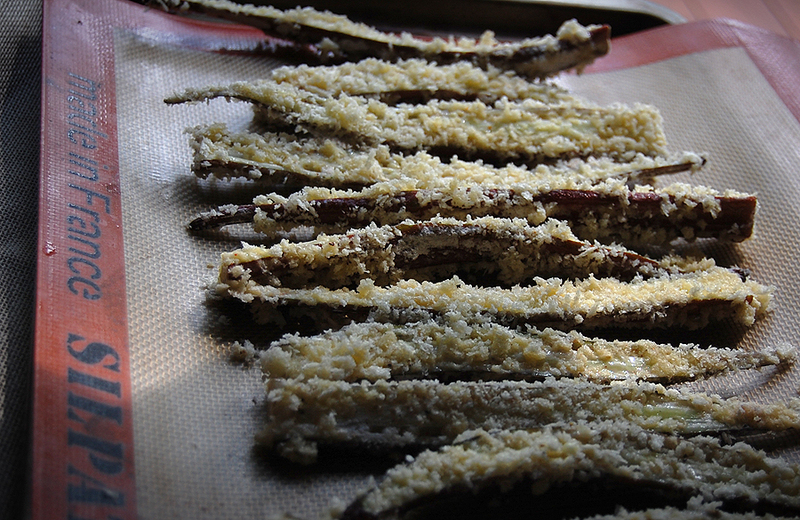 Mix egg and water on a plate to make your egg wash, then shake the okra to remove excess flour and pass it over onto this egg wash. Last roll it on the breadcrumbs. 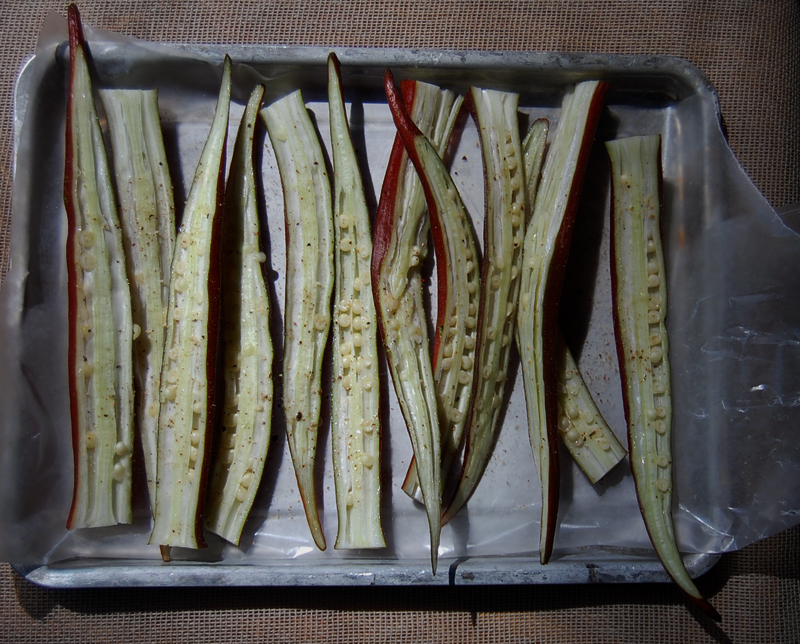 Arrange your okra into parchment paper or silicon mat on a cookie sheet and bake for about 20 mins or until golden brown. Then lower temperature on oven to about 120 and let it sit there for another 20 mins or until crispy. For the mayo just cut up the chipotle in small pieces and mix with the other ingredients, if you want you could start with 1/2 a pepper and add as needed. Chipotle is very spicy so if you want just a mild flavor you could start adding just the adobo sauce that comes in the can. 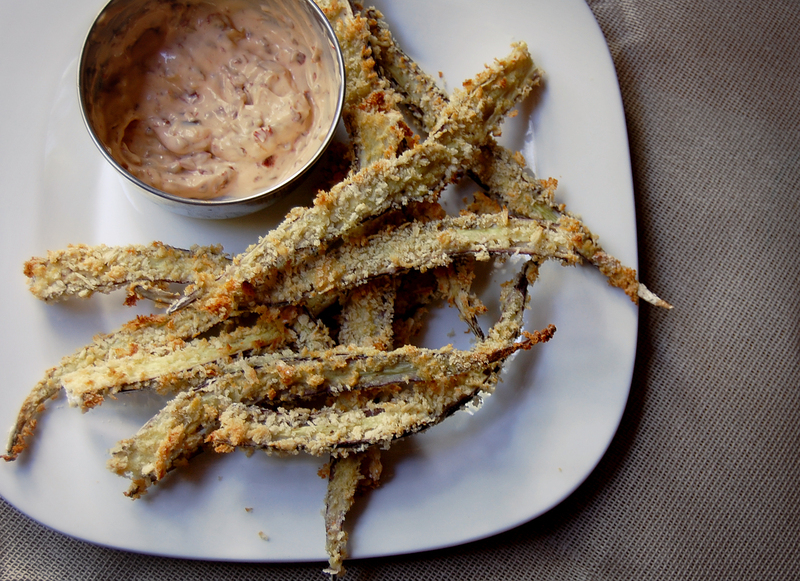 And this is what I thought it would be, okra fries. The reality is that after I took the first bite it was impossible to chew because of the fibers. So to fix it I just made it into “bites” and cut them in pieces. I would prob do that before baking next time and it may even reduce baking time. 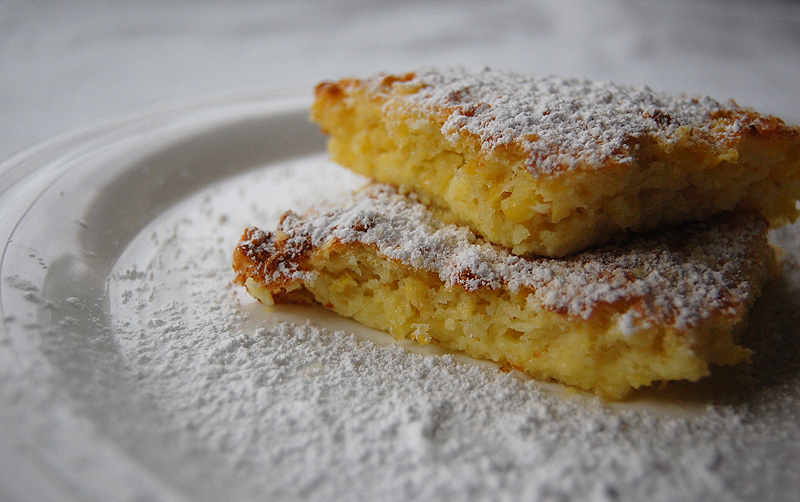 The first dessert I ever made was of course incredibly simple since I was probably around 10 years old. Is a very popular lime charlotte or “carlota de limon” that uses limes (which I got from the tree in my house), condensed milk and maria cookies. I had been craving this dessert for a few weeks but I wanted to do a grown up version of it. 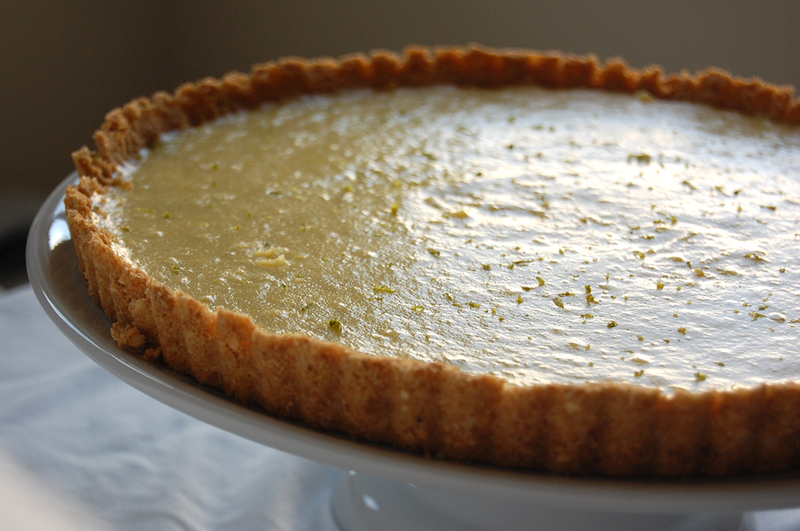 I thought I could use some of the same ingredients and make a tart, then I found a recipe for a macadamia key lime tart which I thought sounded pretty good so I gave it a try. Stir crushed cookies and macadamia (I crushed both in a blender) and pour over them the melted butter and mix. 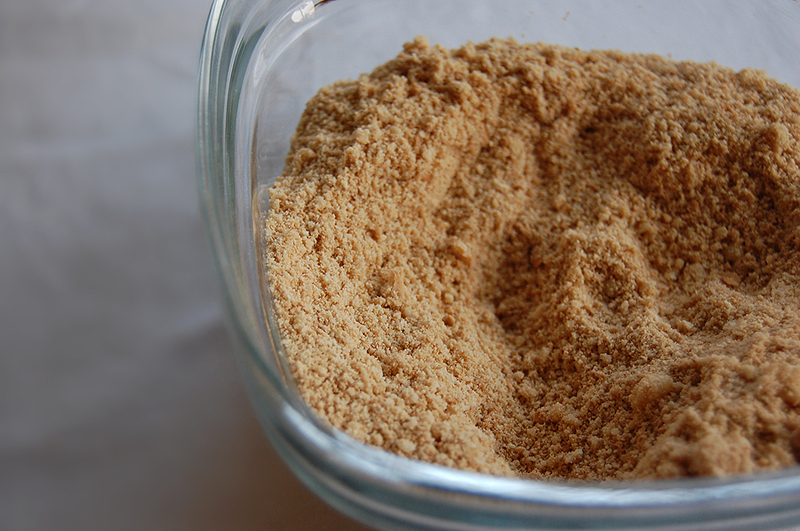 You are looking for a sand like texture that stays together if you press it, not a dough like or nothing heavy. 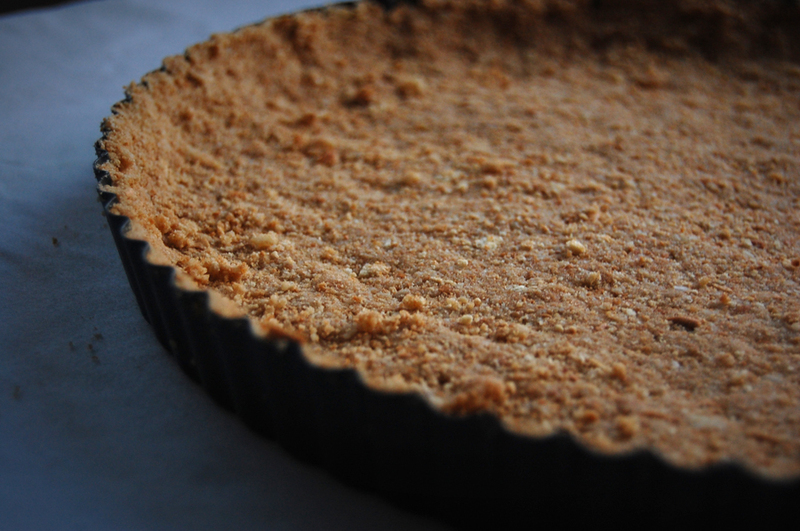 Firmly press crumb mixture evenly on bottom and up sides of a 12-inch tart pan. 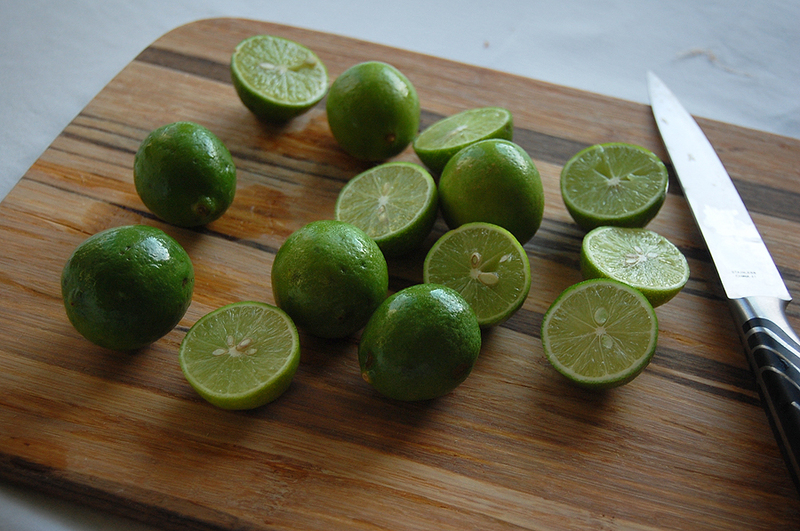 Whisk together eggs, grated lime rind, fresh lime juice and sugar in a non-aluminum saucepan over low heat. Cook this mixture whisking constantly, 8 minutes or until lime mixture is thickened and bubbly. Please dont forget to keep whisking or it will turn into scrambled eggs. For a while you may feel that the mixture is not really thickening but believe eventually it will and it will change in texture in a few seconds. Then add the butter let it melt and keep whisking until is all incorporated. Let it cool. As I said I like citrus desserts on the citrusy side, so if you’re not sure add just 1/2 cup of fresh juice and adjust accordingly. Pour filling into prepared crust; cover and chill 4 hours or overnight. 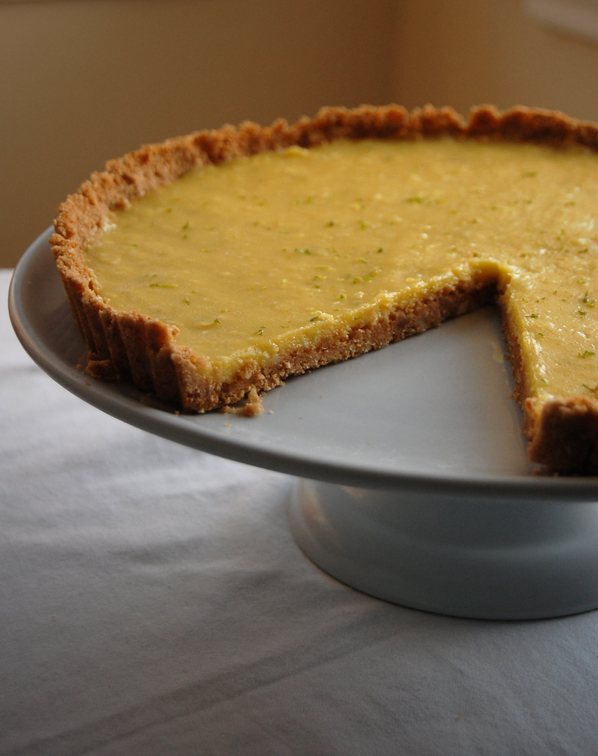 Remove sides of tart pan and garnish with more lime rind if desired. 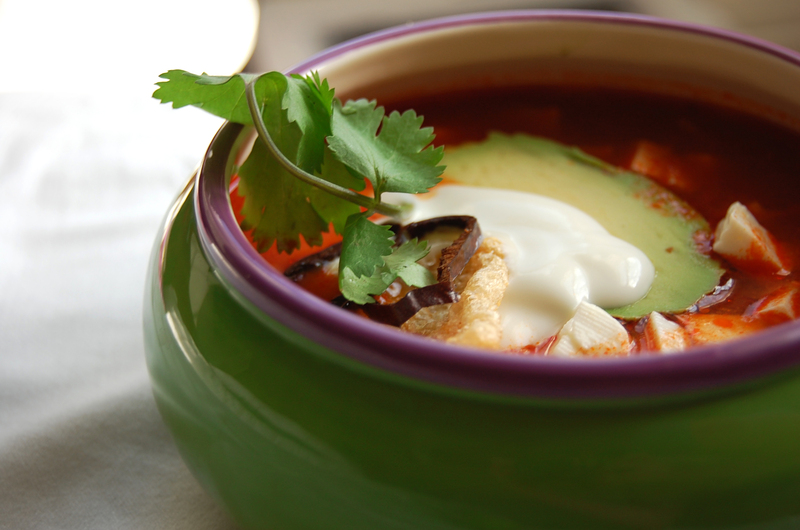 Tortilla soup is (like many other culinary creations) one of those recipes that was probably originated with leftovers. Take Coq au vin for example, an old tough bird you have to drown in wine to get it to taste good, tortilla soup is better with a few-days-old- tortillas. I don’t mean tortillas filled with preservatives of course but the fresh kind, the kind that will go dry and slightly tough after a couple of days. Those are the ones I used for this soup and believe me it was delicious. 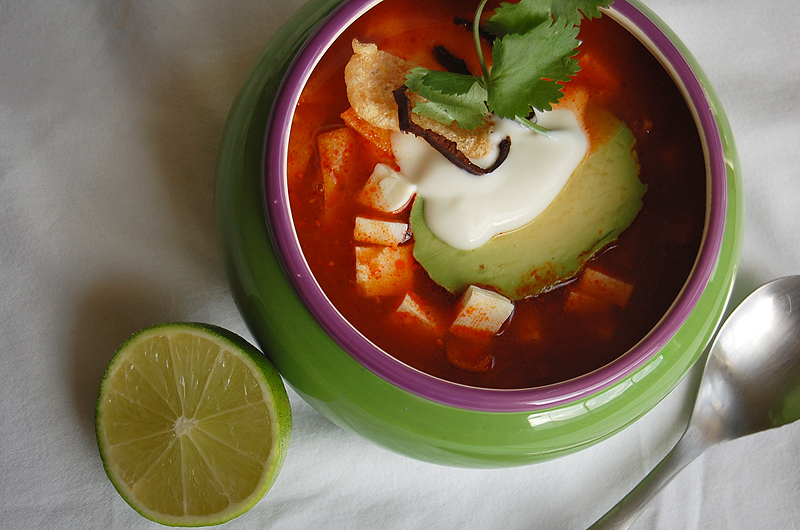 I would recommend to serve just the broth and let your guests pick their own toppings, also make sure you add the tortillas right before you are about to eat. They are not meant to be soggy. This recipe is for 2 servings so multiply as you need. 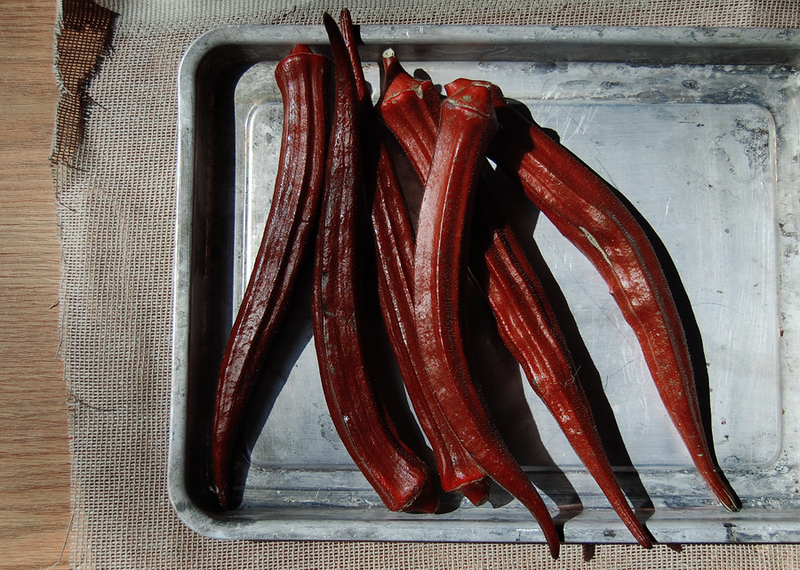 1 chile pasilla (dried chile) stem and seeds removed and soaked into very hot water for about 30 min. A few pieces of the tortillas that you fried. 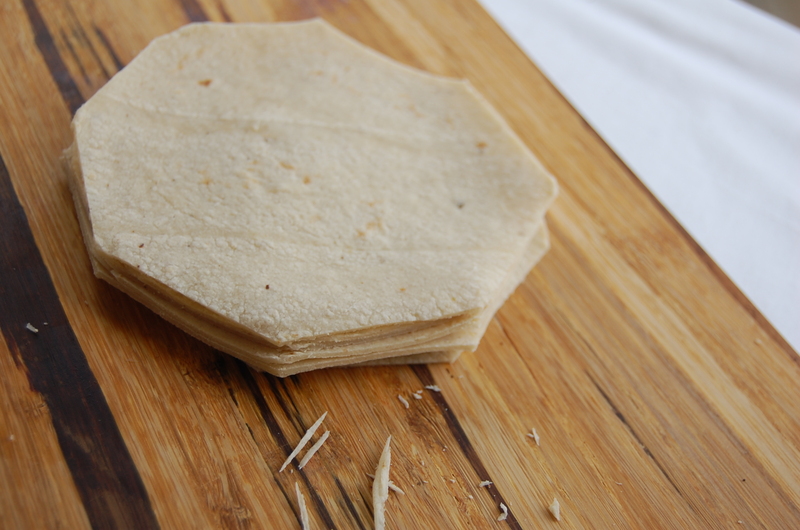 Start by removing the edge of the corn tortillas then cut up into small strips. Fry them with some vegetable oil and set aside, I picked the ones that looked more brown and added to the broth. 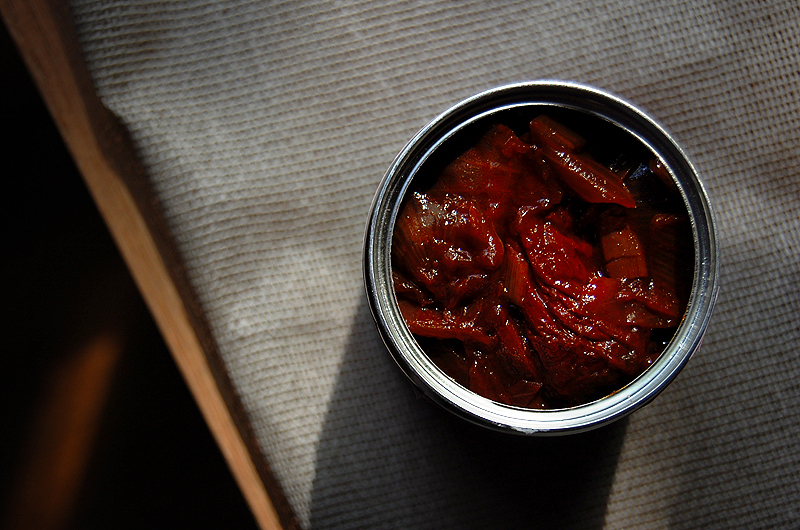 Soak the chile pasilla in some very hot water until is soft (30 mins.) 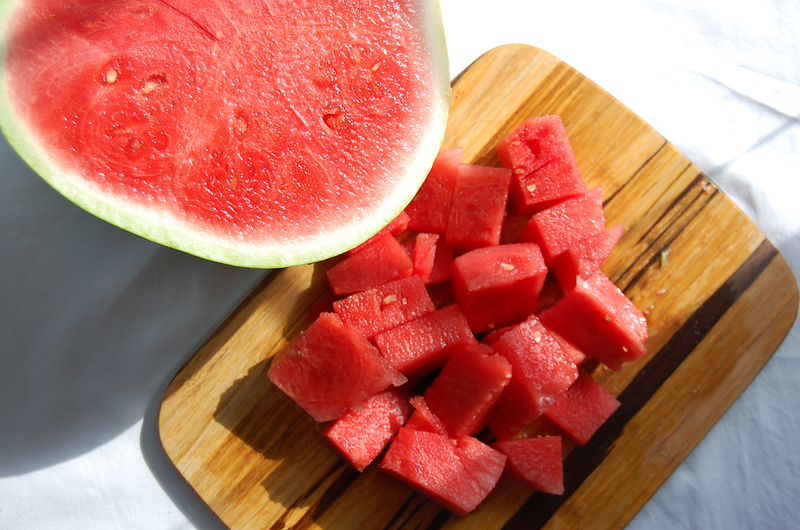 you can remove the seeds and stem after this. 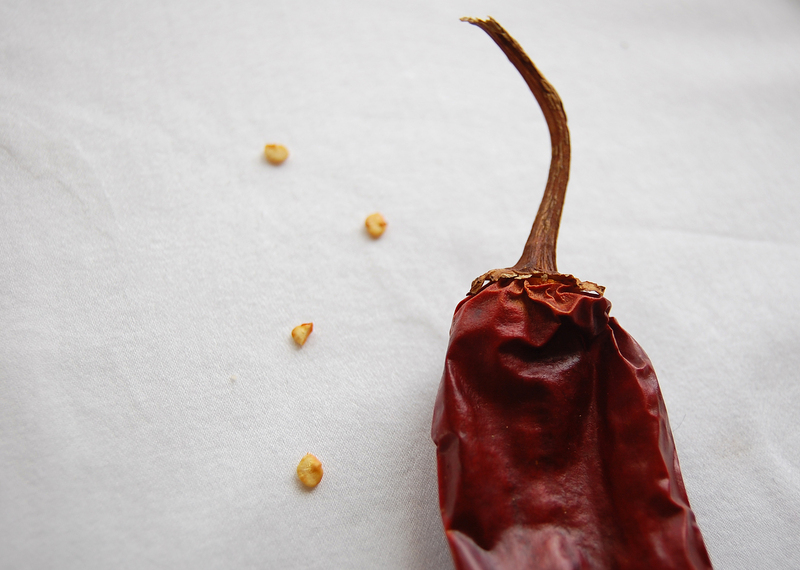 Chile pasilla is NOT HOT at all so don’t be afraid to use it. Is the base for a lot of dishes like enchiladas and asado de puerco. It has a flavor reminiscent of raisins with spice notes that is very unique. 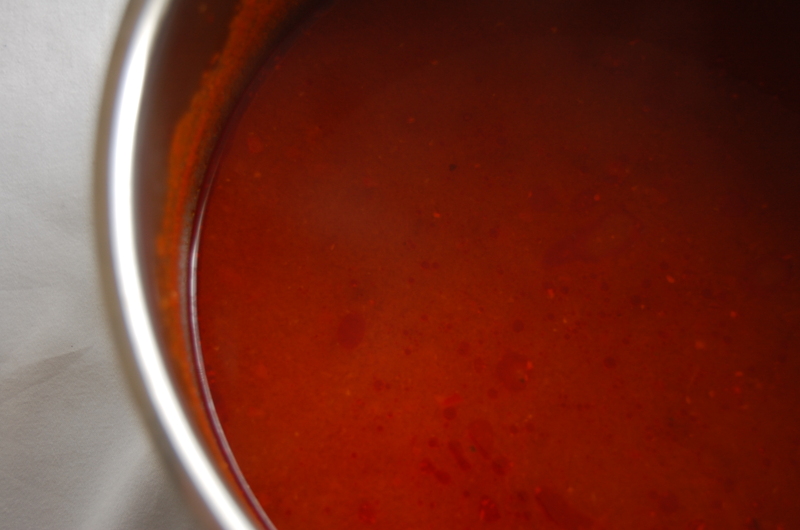 Put in a blender the tomato, onion, garlic cloves, chile pasilla and one cup of chicken broth. Add salt and pepper and blend until combined. Then add a little bit of oil to a pot and put on medium heat. Pour the mix from the blender, it should sizzle. Let it boil until it changes in color, you should also notice a change in the way it smells. Once it has boiled for about 5 min add the rest of the chicken broth and let it boil once again, then let it simmer for about 10 mins. Rectify the salt and pepper (I also added some chili powder here but that is up to you). It should have a pretty bright red color and a complex flavor. Now for the toppings, just chop up the queso, avocado and add them to your soup once you are ready to eat (along with the tortilla chips you made). I like adding a little bit of crema and yes a small pork rind to garnish just they way they serve it in most restaurants in Mexico. 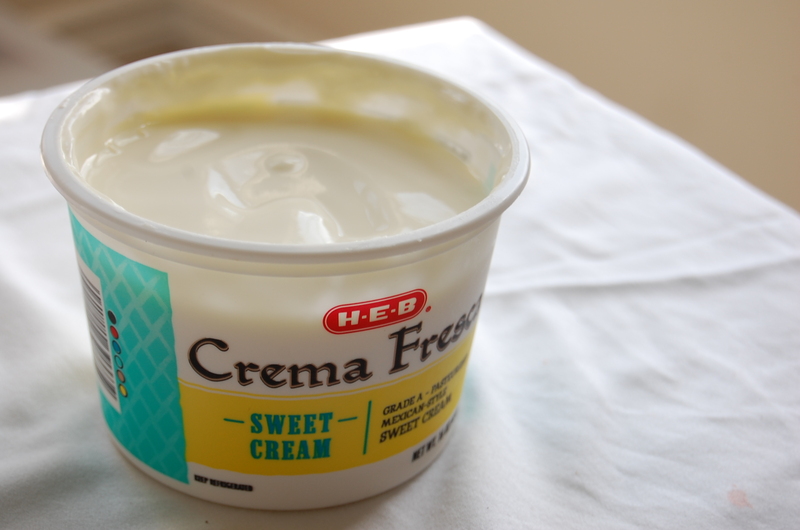 Crema is not sour cream, is more liquid and sweeter and not as tangy. If you can’t find it you can substitute for creme fraiche. Decorate with chile pasilla rings and fresh coriander. 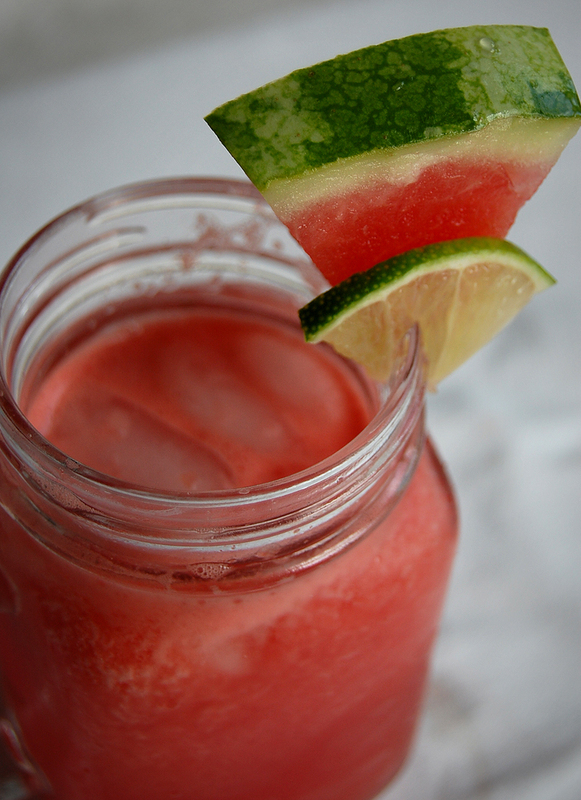 Serve with some lime juice on the side and enjoy. 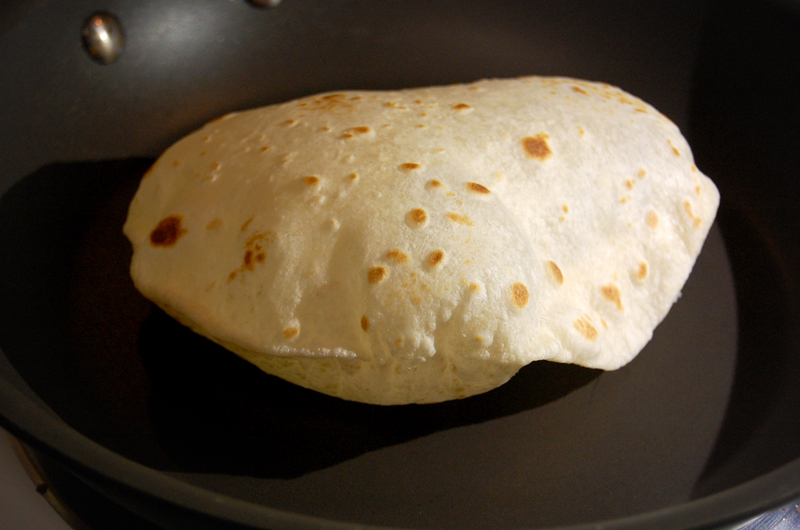 Flour tortillas are the staple of almost every house in the north of Mexico. 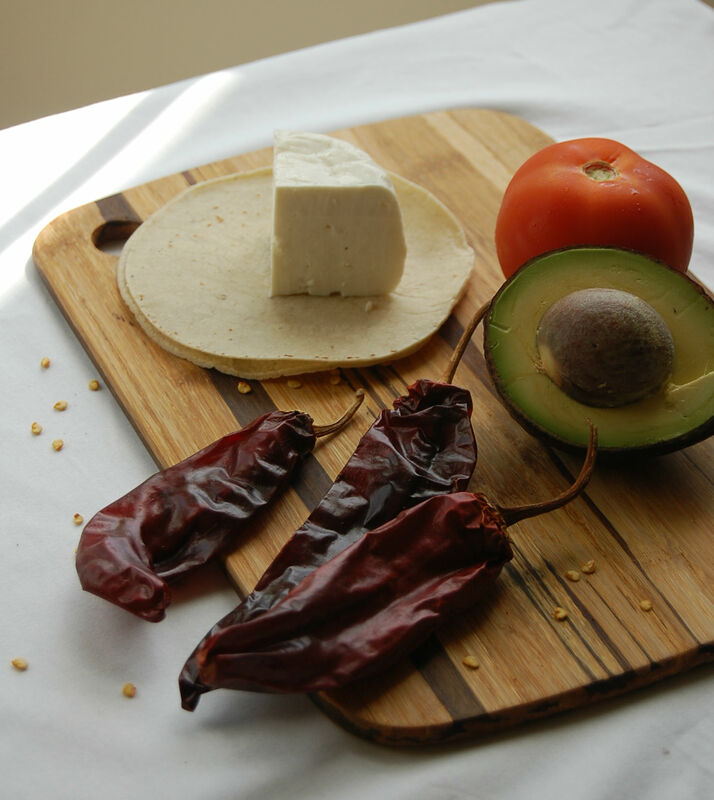 Unlike the south and center of the country where corn tortillas are more popular, flour tortillas in the north are eaten almost as often as corn tortillas and are specially good for breakfast tacos or with the traditional sunday barbacoa. 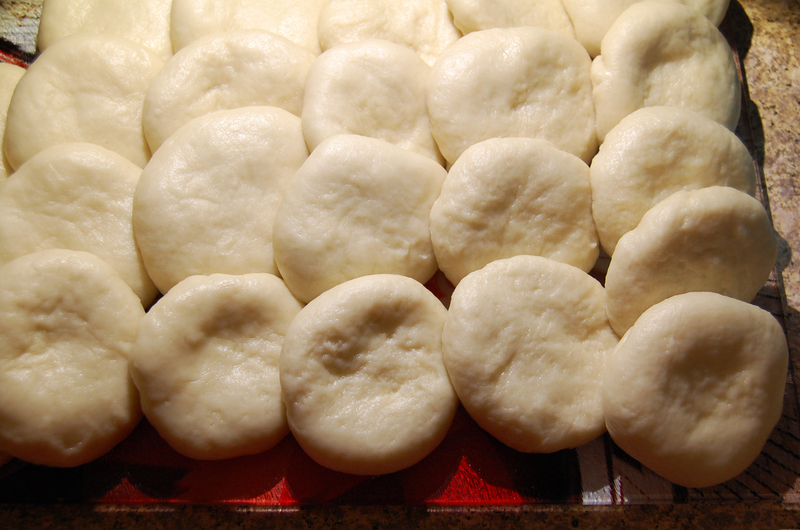 During my childhood my mom made them almost once a week and she would often receive a lot of compliments on her recipe, I remember playing with the dough as it was play-doh and making small tiny tortillas that she would then cook on the “comal”. They are made with just a few simple ingredients but they do require a little bit of patience. 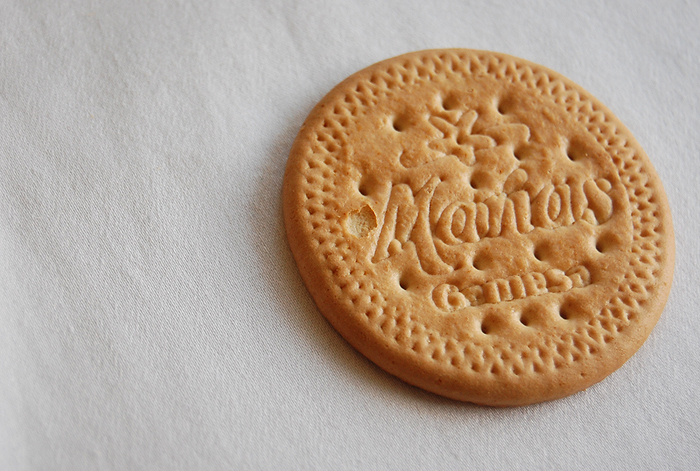 Here is the way my mom used to make them, give them a try. Believe me they are well worth the extra time and they are also fun to make. 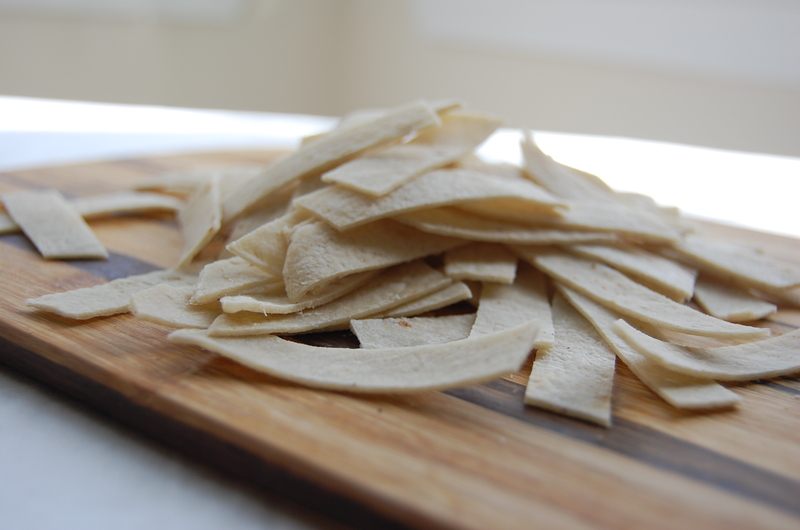 This recipe will yield about 24-30 tortillas depending on the size. Is important that you find a bowl big enough for you to knead the dough in there so you don’t end up with a messy counter. 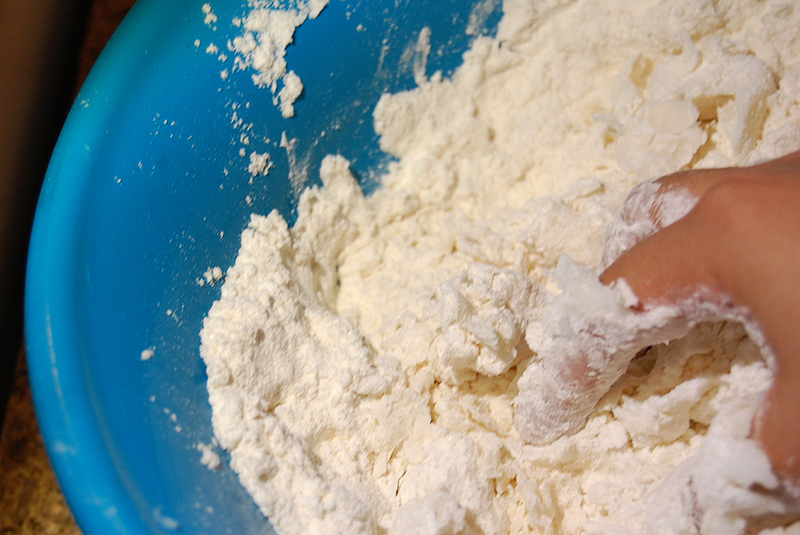 Start by mixing flour, salt and baking powder. 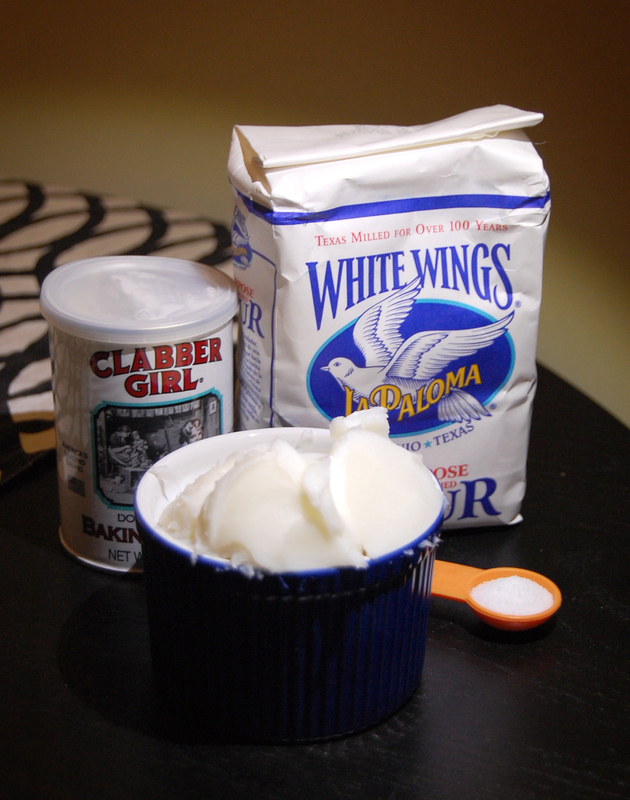 Then add the lard or shortening and mix using your hands until you don’t see any clumps. Meanwhile bring your water to a boil and then turn off the heat, water should be very hot but not boiling. 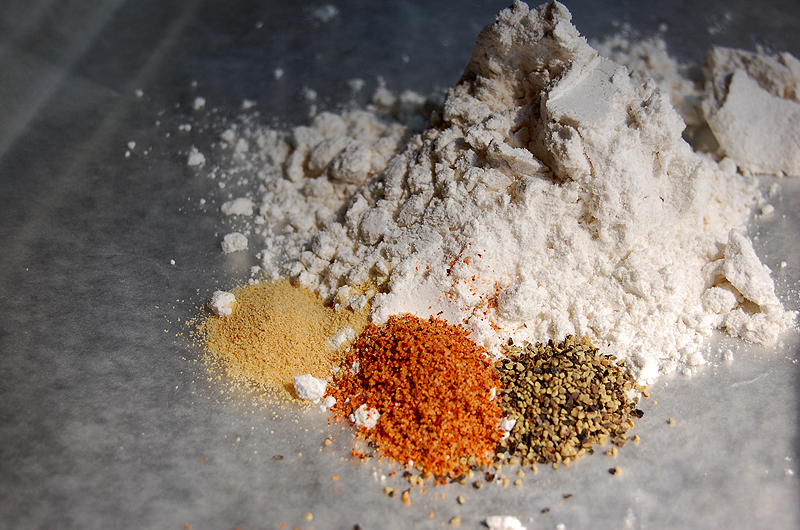 Once all your dry ingredients and shortening are mixed, start adding the water about 1/2 cup at the time. 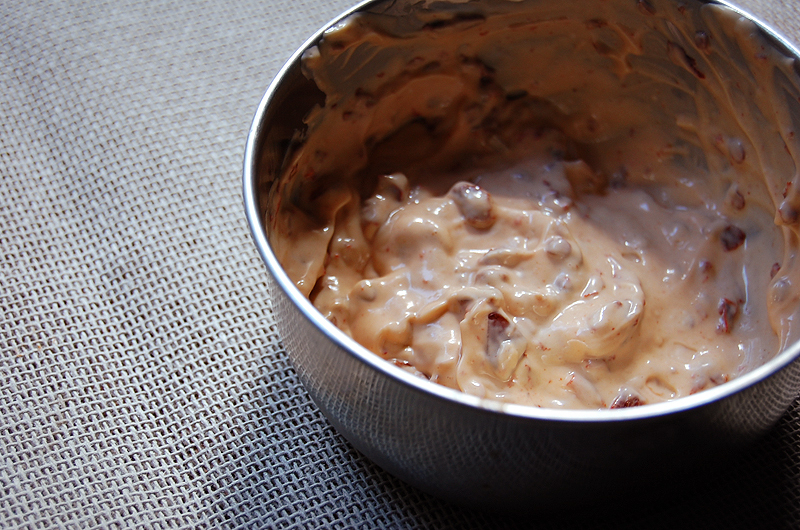 Make a well in the center and then mix with a spoon or a fork, remember this will be very hot! Once you become an expert like my mom you may go at it with bare hands. 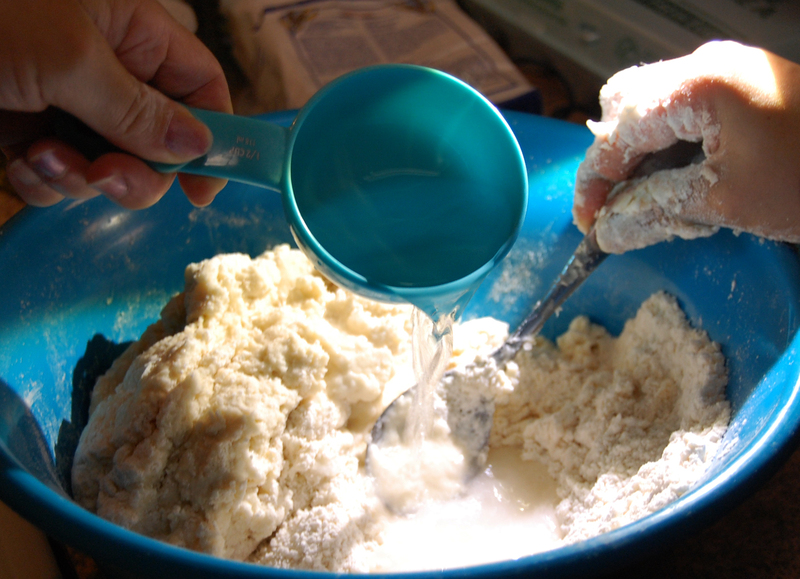 Separate the dough from the loose flour and keep making a well and adding more water until is all uniform. You may need less water so keep checking, you don’t want a sticky dough neither a dry one. 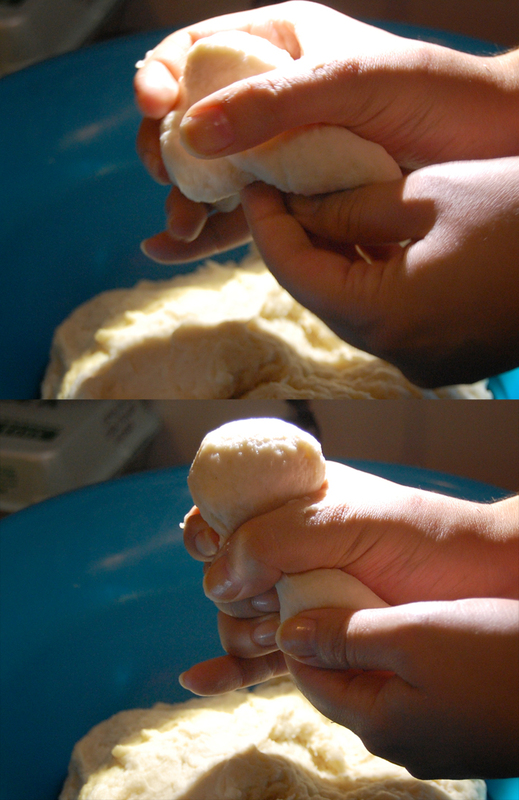 It wont really become uniform until you knead it so you need to look for consistency. 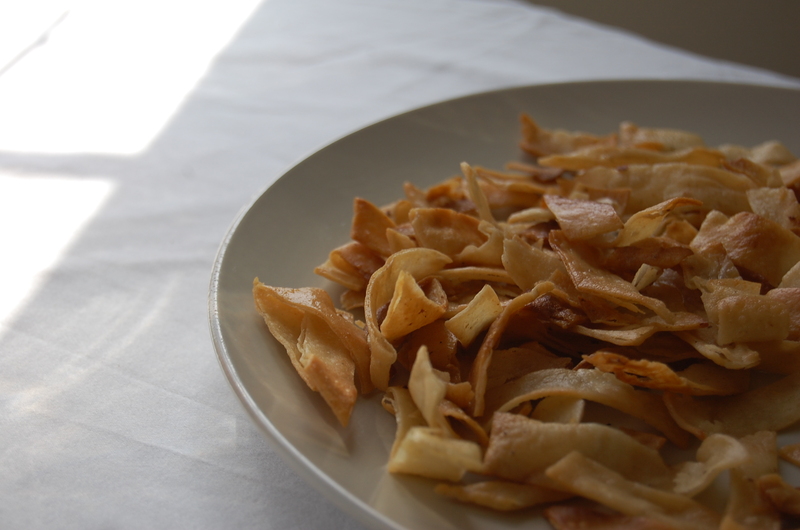 Then we are going to make the “testales” or the small portions that will eventually become the tortillas. My mom would separate all the dough first into balls making sure they are all the same size. 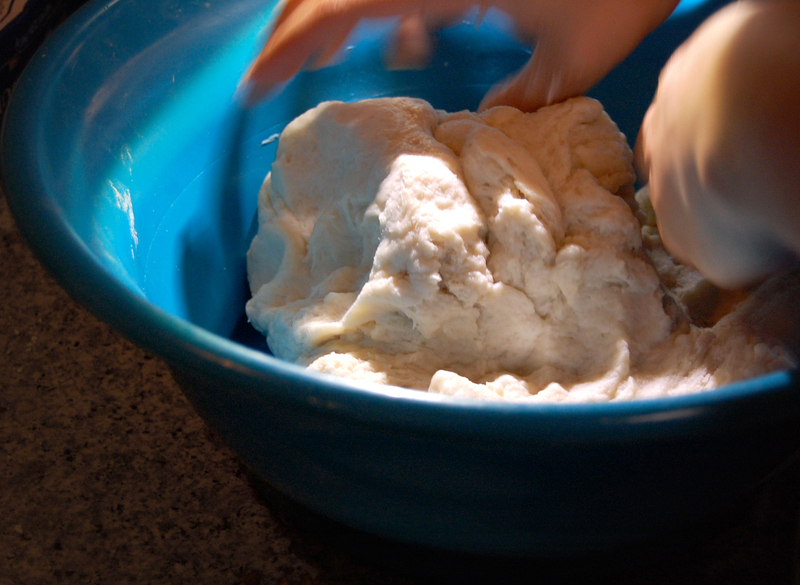 She makes this by pressing the dough into her hand until she has all the portions separated. 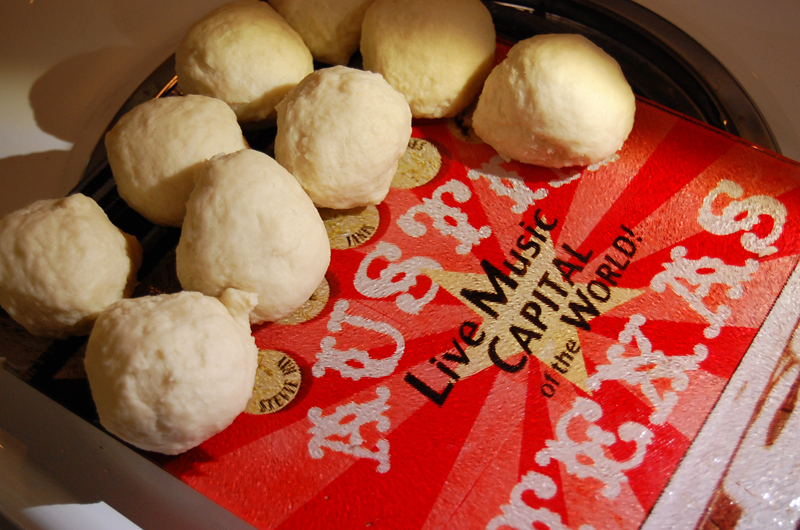 While you do this you want to make sure you let the dough rest in the process. So for the next step start with the ball that you did first and so on so you have a uniform consistency. Once you have all the balls formed you can let them rest for a little bit while you clean or do something else… like play candy crush or post some pictures on instagram to show everyone you’re making homemade tortillas. Now you will form the “testales”. You need to take a ball and push all the edges underneath turning it around while you do it. 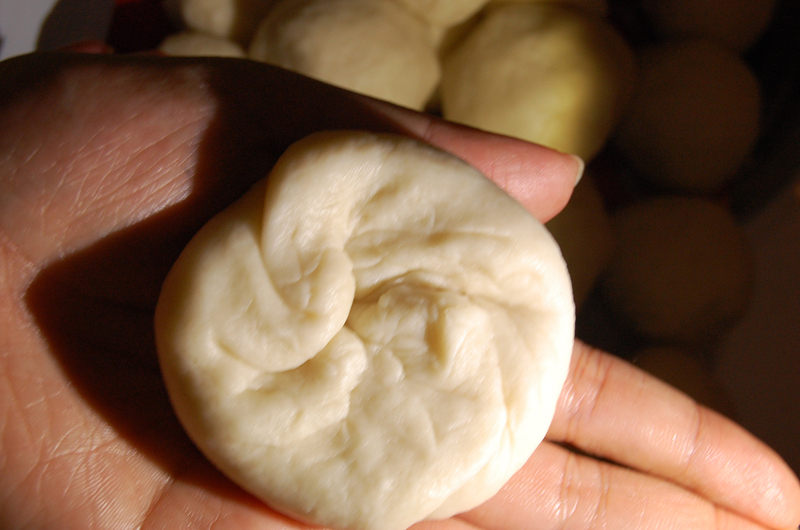 This process according to my mom is like an extra knead to every portion and is also important for the elasticity of the dough. 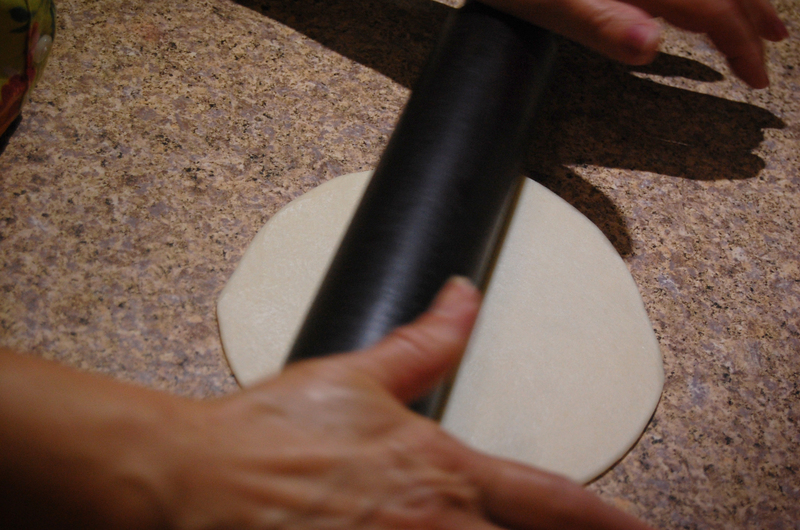 So you are not only looking to form it into shape but also making sure the dough gets elastic. When you are done your testal will have a top and a bottom where you can see all the edges pulled in together. Once you have all the testales done they need to rest for about 30 mins. to an hour. The more they rest the better. My mom would also usually store the leftover tortillas as testales in the fridge so you could roll them and cook them when you would want a tortilla again. Once they have rested you will need to roll them out into a circle. Be patient with this process, believe me map shaped tortillas will taste as good as a perfect circle tortilla so don’t get frustrated. 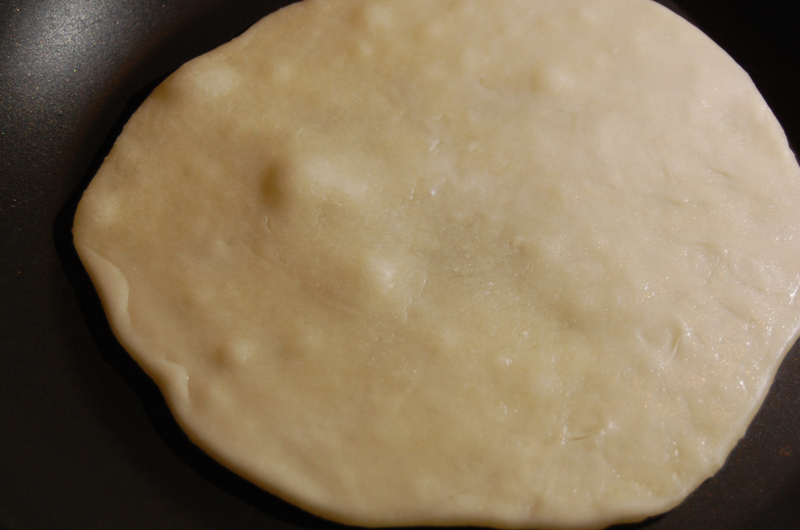 Make sure your comal or skillet is hot, you need high heat slightly higher than the heat needed to make pancakes. 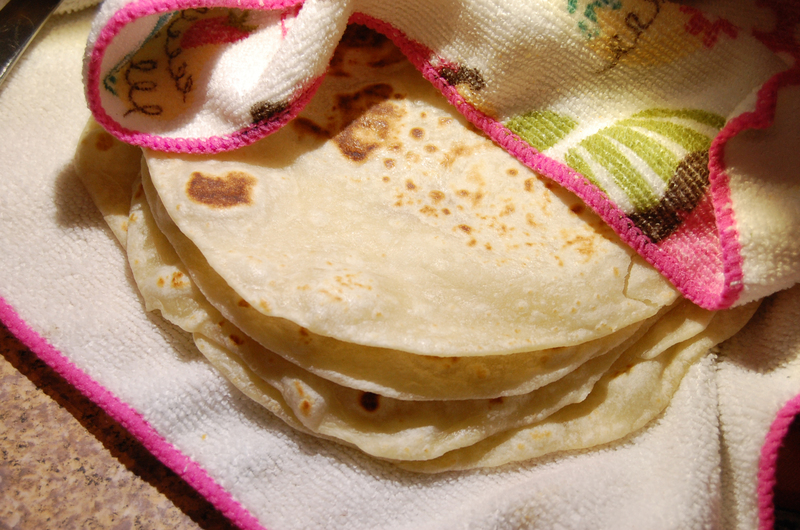 When you put it in the skillet you will have to wait just a few seconds until you see a few bubbles, then you turn the tortilla and wait until the other side has developed some golden brown spots (if it burns too quickly turn down the heat, if takes too long turn it up). Keep moving it around so it has an even color. 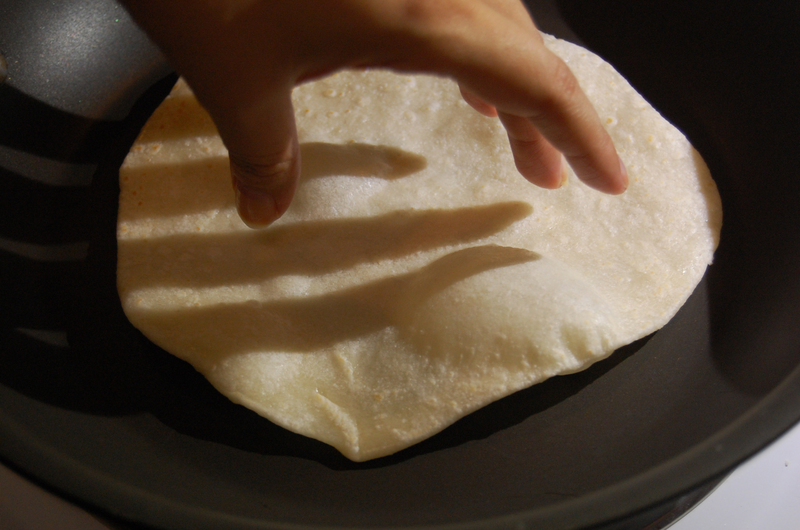 Then make a final turn and here is where you would want the tortilla to inflate, don’t tear it. You want the air to cook the inside of the tortilla. Also be careful because that air is very very hot. Once you cook them you can keep them warm inside a kitchen towel. My favorite way to eat them is just with some very very good butter and roll them up. A lifelong foodie, I was the kind of girl that would watch cooking shows instead of cartoons. They always gave me the feeling that I was learning and well if there is something I like to do is to learn. Until a few weeks ago I had never seen a food show in English that would showcase Mexican food as Pati does on her PBS show “Pati’s mexican table”. Her authentic homemade approach shows the true complexity of the Mexican cuisine and the passion and nostalgia that a born and raised mexican has for mexican food. I particularly enjoyed the show when she talked about the french influences on the Mexican cuisine and made this corn torte that is not corn bread but more of a souffle with corn incorporated on it. A simple light recipe due to the use of rice flour is not too complicated and perfect for the season. Preheat the oven to 350 degrees. Use a little butter to grease an 8 1/2- or 9-inch square baking dish. 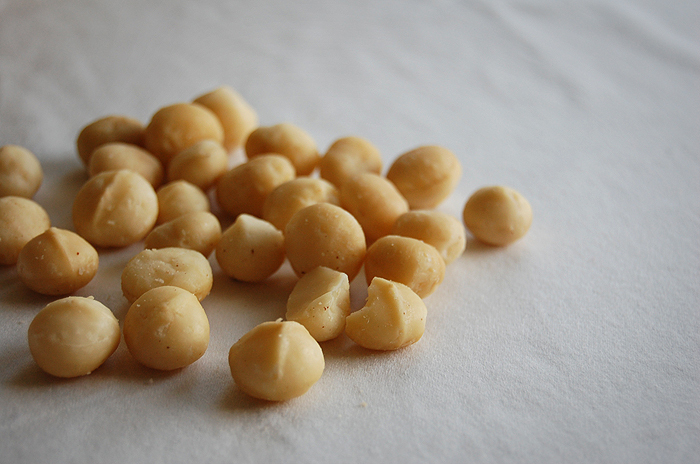 Combine the corn kernels and milk in a blender or food processor; pulse to form a coarse puree. I used fresh corn but you could also use frozen. 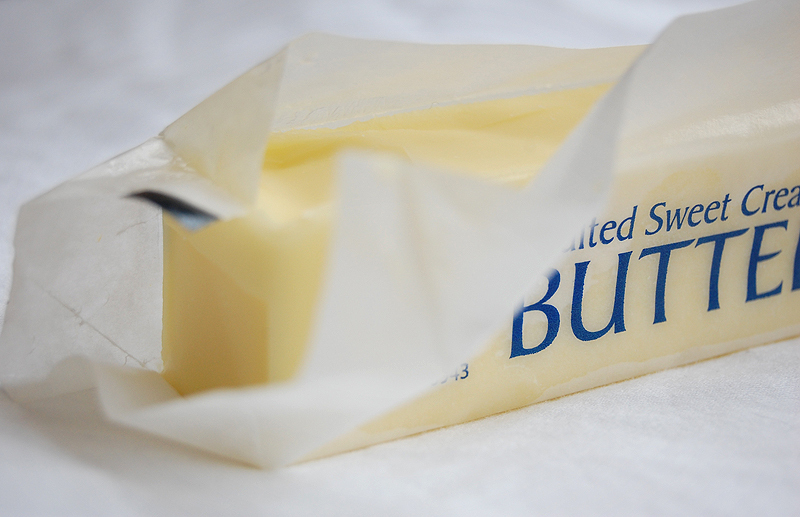 Before you start make sure that both your eggs and butter are at room temperature. Combine the rice flour and baking powder in a bowl. 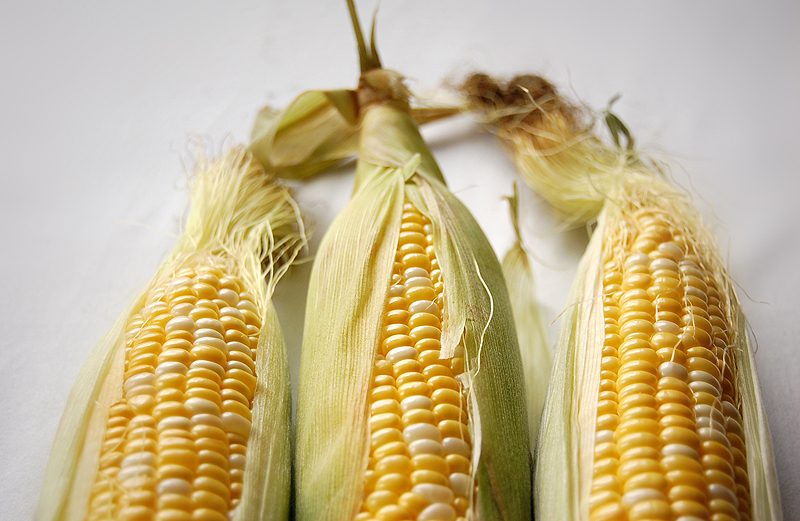 Combine the corn kernels and milk in a blender or food processor; pulse to form a coarse puree. 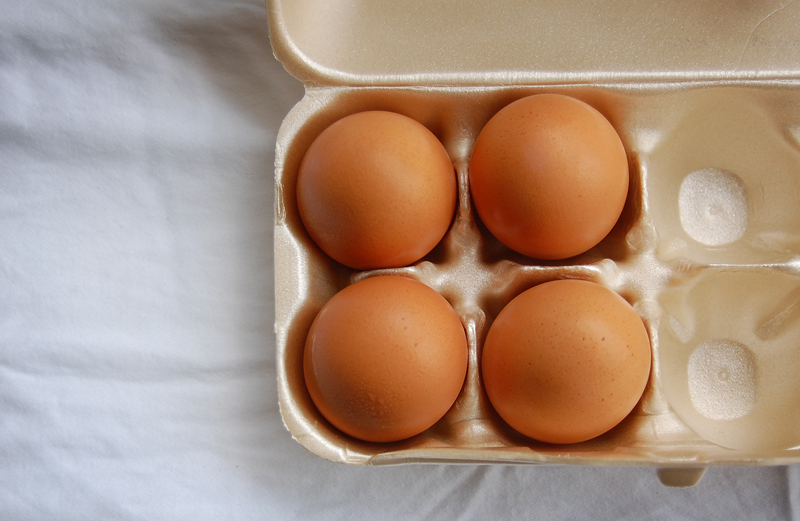 Separate your eggs making sure that no egg yolk ends with the egg white otherwise they wont rise. 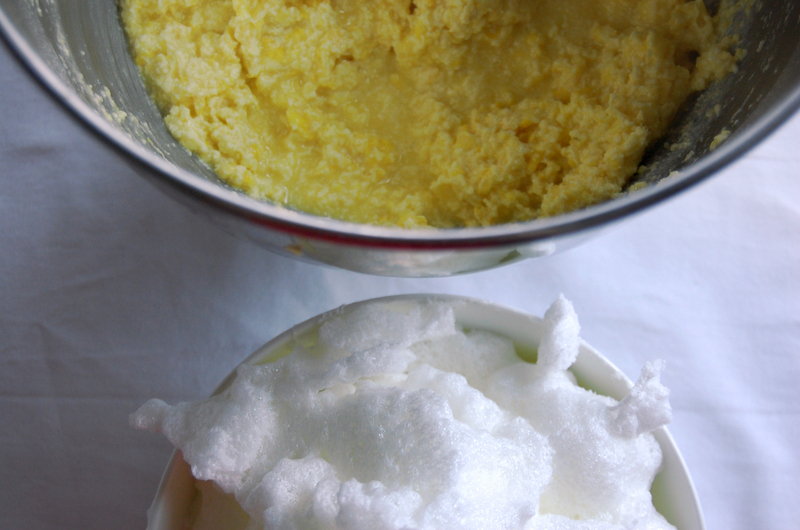 Beat the butter in the bowl of a stand mixer or hand-held electric mixer on high speed until creamy and lightened. Stop to scrape down the sides of the bowl, then add the sugar. Beat on medium speed until well incorporated and fluffy and when the butter looks pale. 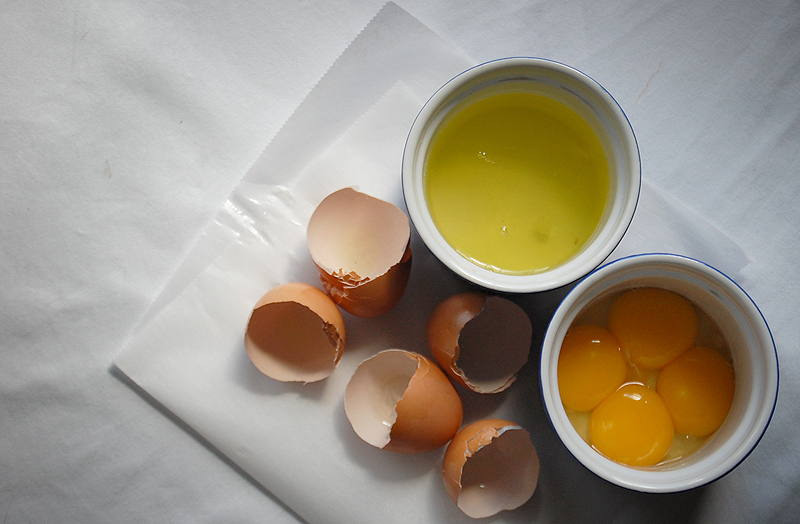 Reduce the speed to low; add the egg yolks one at a time, beating to incorporate after each addition. On low speed, gradually and alternately add the rice flour mixture and the heavy cream, beating until well incorporated. Stop to scrape down the sides of the bowl. Add the corn-milk puree and beat on low speed. Beat the egg whites and salt in a separate, clean bowl on medium and then high speed to form stiff peaks. Gently fold about a fifth of the egg whites into corn batter until no trace of white remains, then fold in the remaining egg whites, taking care not to deflate them; some white streaks may remain. It’s ok if it doesn’t look all combined. Then transfer to the baking dish, spreading the mixture evenly. Bake for 45 to 60 minutes or until springy to the touch and lightly browned. I baked mine on a larger dish therefore the cooking time was less than instructed on the recipe, so keep checking on it until you see the brown color. Sprinkle some powder sugar and enjoy.